The City of Austin Parks and Recreation Department in partnership with Austin Independent School District held a public dedication and ribbon cutting ceremony at Barrington Elementary School to celebrate the first Green School Park. The Green School Park Program is a citywide initiative of the Austin Connecting Children to Nature (ACCN) Program. The Barrington Elementary Green School Park is a partnership between Children in Nature Collaborative of Austin, Austin ISD, READ, Austin Police Department and Watershed Protection Department. The objective of the Green School Park Initiative is to improve the outdoor space of a campus to foster a child’s daily connection with nature and increase physical activity. Research shows that children who learn and play in nature are healthier, both mentally and physically, have higher self-esteem, and feel more capable and confident in themselves. 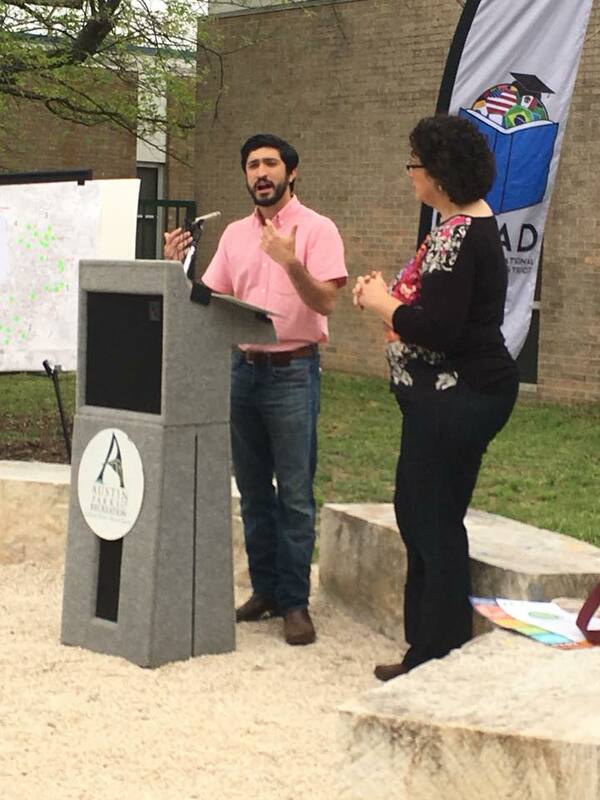 The Green School Parks Initiative will create outdoor learning environments on 24 AISD campuses in neighborhoods in Austin where access to the parks are limited. These school parks will serve as outdoor classrooms, providing garden-based education and play as a means to integrate nature experiences into school curriculum. The school parks will also serve the surrounding community during out-of-school time where families can play, explore and connect with nature in a safe, convenient space.